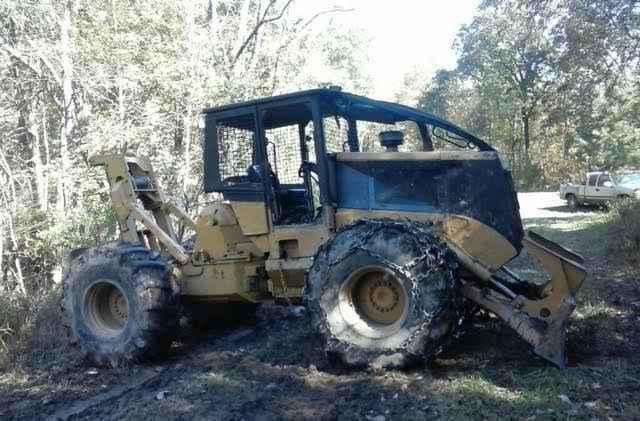 1997 CAT 515 Cable Skidder. This machine has 14,596 hours, engine was rebuilt 2 years ago, runs and starts good, strong transmission, pretty tight center, rebuilt winch, tight cradles, tires are 23.1 x 26, back tires are @ 60%, front tires are @ 20% with chains. Contact Erik @ Red Pine Equipment 218-720-0933. Machine is located in Northeast USA.